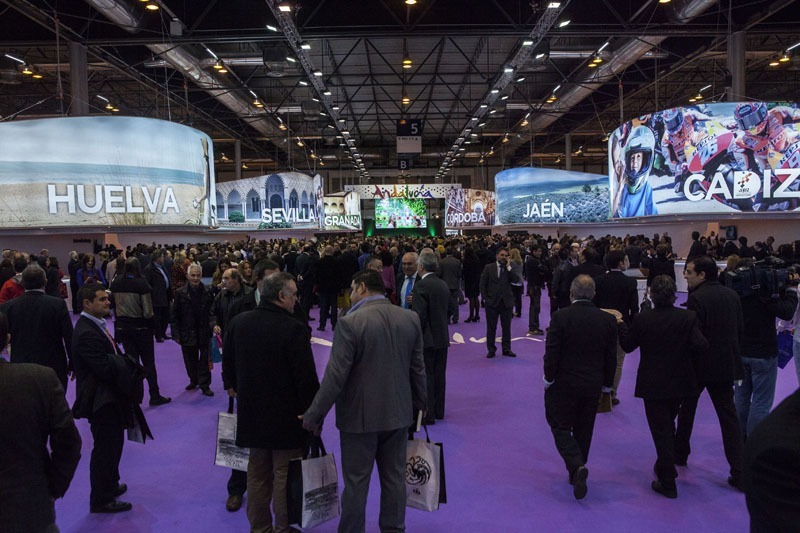 Last week was the premier tourism event in Spain, FITUR. A good chance to take a check on what is the current sentiment with hotels towards the many changes taking place within our industry. What was a worrying sign, at least for the majority of independent hotels at least, that are located in Europe is that they are totally unprepared and in some cases unaware of the importance of how they should be connecting with their future guests. On the technological side, Spain has seen an incredible amount of new starts up offering a range of services to the hotel industry. From apps to social wifi, the new kids on the block are there to help the independent hotel formulate a strategy of building a solid foundation, to increase not only their direct business but also a unique personalised guest experience. Powerful and convincing talks by Andy Stalman (@AndyStalman) during FITUR explained how hotels can achieve this. There were also open discussions by the major Spanish hotel brands discussing how they are using technology to connect with their guests and providing unique experiences. The technological advances and the embrace by major chains to adapt to this reality have clear benefits for an industry that has only in the past couple years, actually started to invest in a form of communication that guests have been using in the day to day lives for a while now. The above advances through contrast with a view of the majority of hotel directors of independent hotels that feel the cards are stacked against them. That booking.com is all too powerful and that Tripadvisor is going to become their new revenue source. In a nutshell, there is a overall sense of resignation that the 2 or now three main OTA´s if you include Tripadvisor holds all the cards. As always, there are exceptions. Some hoteliers realise they have to connect with Google to gain increased visibility online, that Social Wifi can be a cheap and cost effective way of building a stable market database or Concierge Apps increase overall revenue as well as build guest loyalty, however, they are in the clear minority. Hoteliers, just like in the years when GTA (Gulliver Travel Associates) was the booking.com of today, times change. Hotels who are dependent on booking.com will become just as dependent on quite possibly Google or Airbnb in the future. What stays constant though is their has never been a better time for a hotelier to invest in technology that offers the best chance to increase a dwindling revenue stream for many – direct bookings. As we enter a post rate parity era and the continued evolution of our industry, hotels can start taking the first steps to improving their direct bookings. Here are few pointers to help you on your way. Social WIFI – By getting you guests to connect to your FREE WIFI through their social media accounts should be a no brainer for hotels. Not only do they get more followers, but you also get their email address, that can be added to your marketing database. Independent hoteliers need to react to these changes soon or yet again, we will be allowing major Agencies and companies determine our future. For example, Tripadvisor is your frenemy, they provide a page where they host your guest reviews and dish out awards too! However, they also sell your competitor on your review page and with the latest agreement with booking.com incentivise your guests to book via them too! So stop sending your future bookers to TripAdvisor to see your guest reviews, let them read on your website and convert them into direct bookers whilst they are there. For all the regular news that gets published on the latest advancements in new partnerships and advances in technology, it is clear that only the major chains have been listening. The time is now that Independent hoteliers take note and start taking action before it becomes more and more difficult to increase profit margins as well as dealing with increased agency dependency. Hotelient provides hotel & resorts with a strategy and vision based on experience and results achieved to increase your direct bookings. Email us info@hotelient.netinfo@hotelient.net for more information.